The Stables Market is today, one of London’s most popular, cosmopolitan and vibrant of markets. 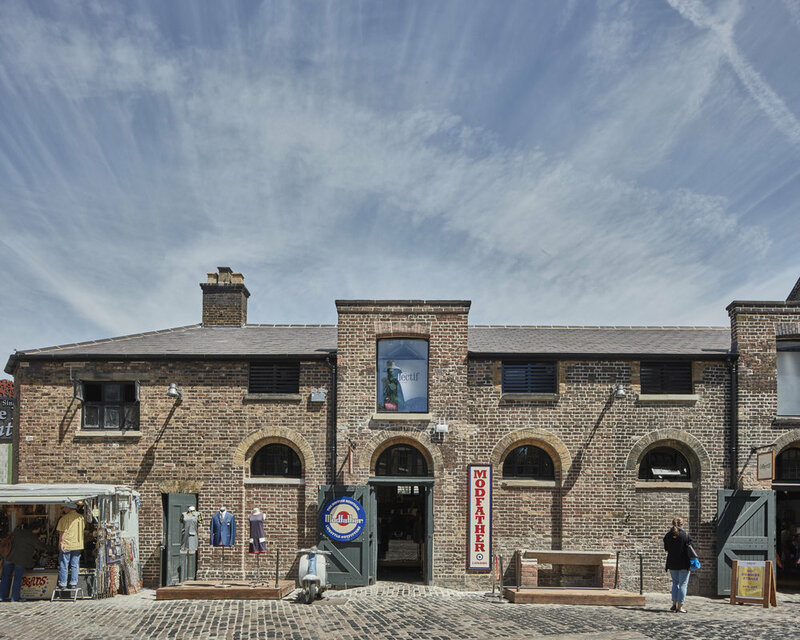 The site lies within the Regent’s Canal Conservation Area and comprises a complex of listed multi-storey former stables buildings originally developed from the mid-nineteenth century onwards by the London & North West Railway Company. Initially stables for up to 500 horses, the site now attracts up to 100,000 visitors per week. SLHA originally prepared the conservation plan for the Stables Market complex which necessitated thorough historic research into the buildings, their condition, and the use and contribution the individual buildings make to the character and appearance of the area. We then prepared and obtained planning permission and listed building consent to realise the plan. A further contextual analysis allowed for the formulation of proposals and SLHA are now the architects for the restoration and conservation of the site’s listed buildings. Work encompasses both the securing of the necessary planning and listed building consents and assisting the contractor to ensure the procurement of the works in a manner appropriate to the identified significance of the heritage assets. The works typically include for both the repair, design, and upgrade of building fabric and elements in order to help secure a long term sustainable future for the site.